Haloodies Ready to Eat Cooked Chicken range now available in over 300 mainstream stores nationwide and over in 190 London postcodes with AmazonFresh. Haloodies (Halal Foodies) is the Muslim-owned halal food brand aimed at millennial Muslims. We are extending our brand reach by launching our Ready to Eat, 100% Cooked Chicken Range into over 110 Sainsbury’s stores, extending into over 200 Tesco stores and online with AmazonFresh. The chilled cooked chicken segment is relatively new for halal consumers and reflects the millennial Muslim’s need for convenience. Haloodies offers a complete range of 100% chicken breast products –a compelling alternative to existing products made with mechanically separated meats high in preservatives. Haloodies have an ambitious pipeline of launches to come and recently exhibited at the SIAL trade show in Paris with support from the Department of International Trade, as the only halal brand in the British Pavilion. DIT has also supported Haloodies to exhibit at the upcoming Gulfoods 2017 in Dubai where Haloodies can access the large and growing Middle Eastern halal market with a British halal brand. 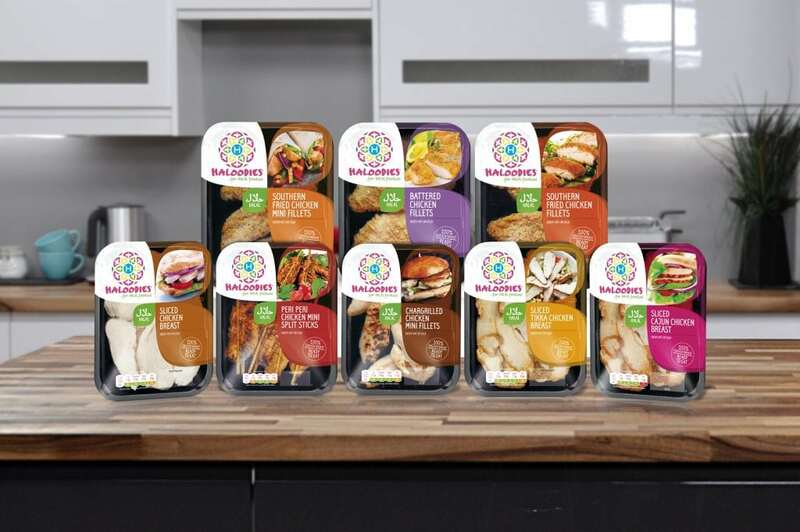 Launched in 2014 as a spin-off from the incredibly successful and innovative Halal Food Festival consumer show at the Excel in 2013, Haloodies immediately launched a range of pre-packed fresh chicken, lamb and beef with online retailer Ocado. This was the first ever halal meat brand for the online grocer where it has been growing in sales ever since. In 2014, Haloodies also became the first ever halal meat brand to introduce a fresh range with Harrods, available during the summer months to coincide with the rise in number of Middle Eastern visitors to the city. In June 2016 Haloodies launched a range of 16 lines with online retailer AmazonFresh. The company aspire to create the first global halal food brand.